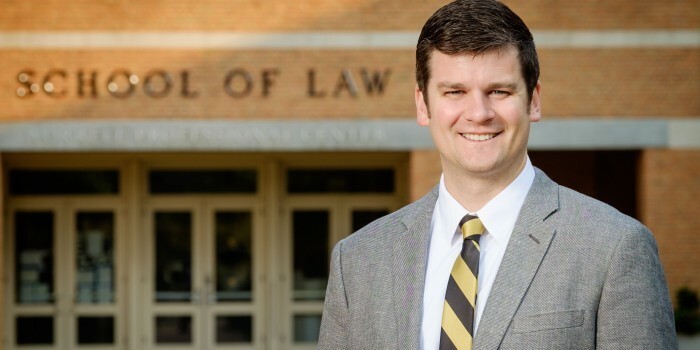 Logan Roach (BS ’07) has joined Wake Forest University Advancement as a Development Officer for the School of Law. He began reporting to the North Carolina Major Gifts team on May 18, 2015, and works closely with Assistant Dean for Law Development Paul Wingate and the rest of the law school development team. A native of Dallas, Texas, Roach graduated from Wake Forest with a bachelor’s in Health and Exercise Science in 2007. After working in Winston-Salem in various roles since graduating, he went to work for the YMCA of the Triangle as a Youth Director at the AE Finley YMCA starting in 2010. Most recently, from 2013-2015, Roach served as the Senior Director at the YMCAs of Garner and Johnston County, a branch of the YMCA of the Triangle. There he led and cast vision for the Youth, Sports, and Wellness departments, while managing a team of Directors. He also was responsible for raising money for the annual fund and leading a team of volunteers for the Y’s Annual Campaign. Roach and his wife, Danielle, have been married since 2011, and have a black lab named Harper. Danielle Roach is a graduate of the University of North Carolina School of Education and most recently worked for Durham Public Schools as a first grade teacher. Roach’s older sister graduated from WFU in 2004, so Old Gold and Black runs deep in the the family. You can reach Roach at roachlp@wfu.edu.